I am involved in the local committee of ECCV 2012. A year from now, we will host in Florence the 12th European Conference on Computer Vision. ECCV has an established tradition of high scientific quality, with double blind reviewing and very low acceptance rates (about 5% for orals and 25% for posters in 2010). The conference has an overall duration of one week. The main conference has a duration of four days starting from the second and a single-track format, with about ten oral presentations and one poster session per day. Tutorials are held on the first day, and Workshops on the last two days. Industrial exhibits and Demo sessions are also scheduled in the conference programme. ECCV 2012 will be held in Florence, Italy, on October 7-13, 2012. Visit ECCV 2012 site. I am involved in the technical program committee of the 1st International Workshop on Computer Vision Methods in Blind Image Forensics (CVBIF), in conjunction with ICCV 2011. The verification of original images, as well as the detection of manipulations in digital images and multimedia content has become an increasingly important topic. The purpose of this workshop is to bring together leading experts from image forensics and the computer vision community. Its goal is to foster new vision-based approaches to image forensics problems and thus promote the advancement of vision-based solutions in forensics applications. Download a PDF version of the call for papers here! 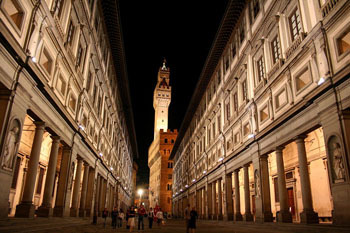 We will host in Florence the 18th ACM International Conference on Multimedia (ACM MM). ACM Multimedia is the premier annual professional meeting for communicating the state-of-the-art in multimedia research, technology, and art. ACM Multimedia 2010 will be held in Florence, Italy, on October 25-29, 2010. Visit ACM Multimedia 2010 site.